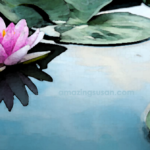 As you probably already noticed, pink is my favourite colour (at least at the moment…). So when I see an event called “World Pink,” AND it includes the Guinness Book of Records, AND its purpose is to raise awareness of breast cancer, well, it gets my attention. 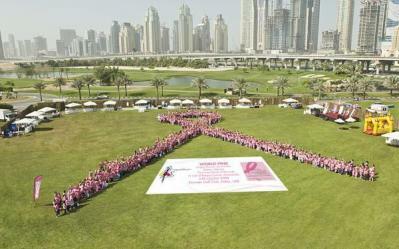 That’s why I went to the the World Pink Guinness Book of World Records awareness ribbon attempt in Dubai last Friday. Thank you Danielle, volunteers, sponsors and everyone who attended for helping to raise money for breast cancer awareness. At the event, I met many amazing women (and one man! ), some of whom were kind enough to tell me about the amazing women they know. Hey, that reminds me… Who are the amazing women in your life? Why not talk about them on YouTube? Send me the link and I’ll post the video on amazingwomenrock.com. Previous readingWhere are YOU from?